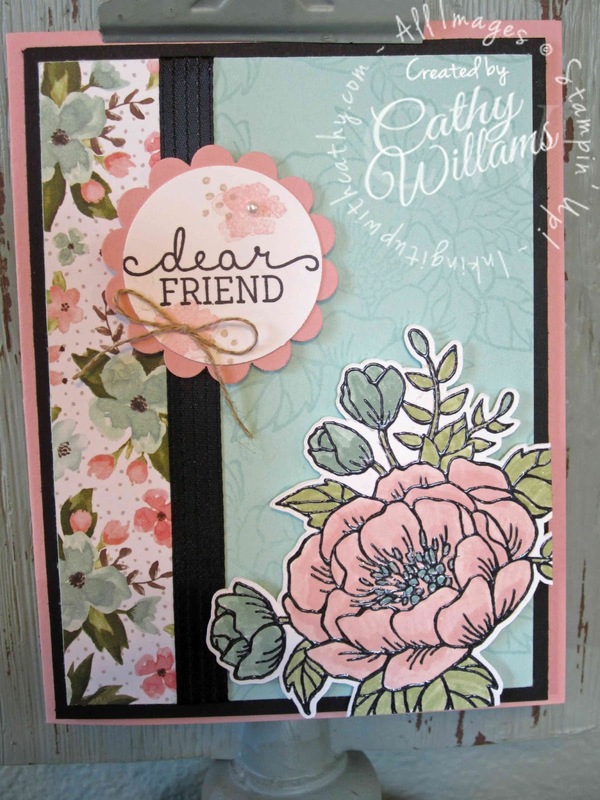 I fell in love with this stamp set when I saw it in the 2016 Occasions Catalog but was afraid, as a flower set, it would not make it over to the 2016-2017 Annual Catalog but it did and I am so happy! I am going to miss the Birthday Bouquet Designer Series Paper though because it isn't sticking around. My advice - stock up while it is still available! While I miss the Blendabilities, I have been having fun coloring just with our Markers. I have found that I can just come back at the bases of my petals with the color again and gain some depth to the flowers. 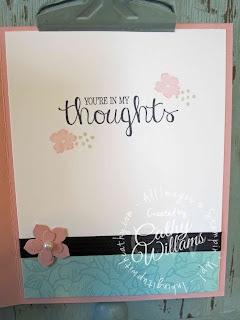 I also stamp using the Basic Black Archival Ink and quickly use clear embossing powder. This card was inspired by Julie Davison but added my own twist to it. Thanks Julie for the inspiration! Told You I Love This Stamp Set!